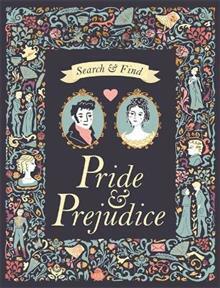 Discover the world of Jane Austen with Search and Find Pride & Prejudice. The popular, classic story is retold in beautifully illustrated search and find scenes. Search and discover the characters on the busy pages and follow them through the story. Each page is full of character... read full description below. 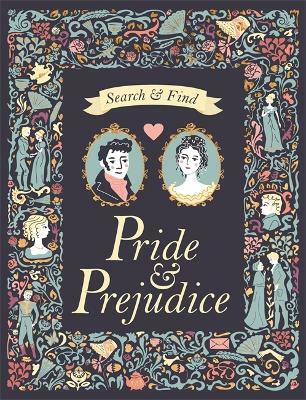 Discover the world of Jane Austen with Search and Find Pride & Prejudice. The popular, classic story is retold in beautifully illustrated search and find scenes. Search and discover the characters on the busy pages and follow them through the story. Each page is full of characters to find and details to spot in the busy scenes, such as the Bennet family 'at home' in Longbourn, Jane and Bingley falling in love at the Netherfield Ball, Lizzie and Darcy strolling around Pemberley. Search and Find Classics is the perfect way for young children to discover popular classic tales. Beautiful illustrations are accompanied by abridged text, perfect for sharing with little ones and introducing them to classic authors such as Austen, Dickens, Stevenson, Carroll, Shakespeare and the Bronte sisters.